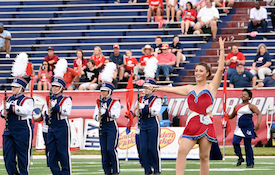 We want "ONE CAN FROM EVERY FAN" this Saturday as the Jags take on Arkansas State! 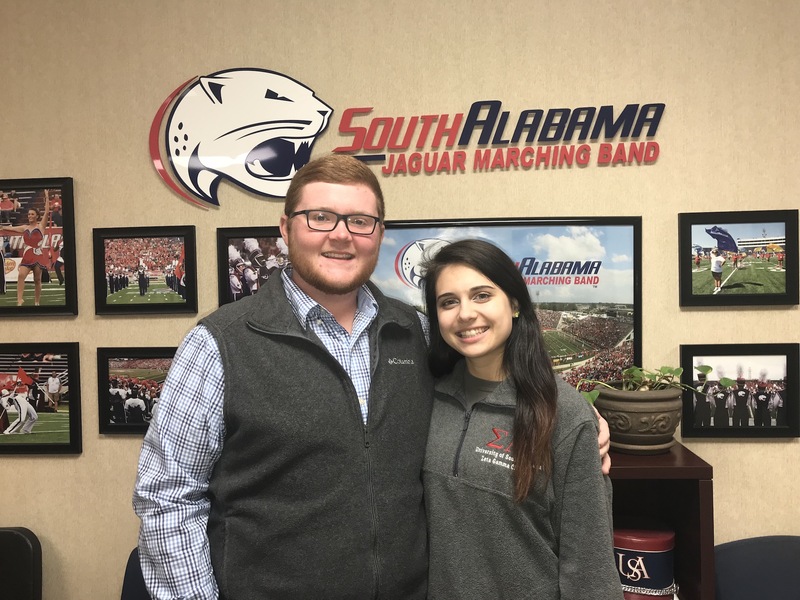 The University of South Alabama Jaguar Marching Band has teamed up with Jaguar Athletics, WKRG News 5, Greer's Supermarkets, and Feeding the Gulf Coast to present the third annual Jaguars Canned Food Drive. Bring a canned food donation to the USA vs. Arkansas State football game this Saturday, November 11th and receive a voucher for four complimentary general admission tickets to a future Jaguars game! Drop-off locations will be at all entry gates to Ladd Peebles Stadium. 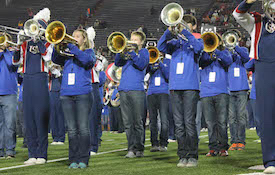 Look for the Greer’s shopping carts and members of the Jaguar Marching Band at the entry gates. We are looking for “one can from every fan!” but we would love to see even more donations! Cans will be accepted from the opening of gates at 2:00PM until the middle of the first quarter. In addition, you can drop off cans at the WKRG Studio at 555 Broadcast Drive through November 10th. Cans will also be accepted on-campus at the USA Department of Music in the Laidlaw Performing Arts Center. We encourage USA students, faculty, and staff to donate! All donations from the Jaguars Canned Food Drive will be delivered to Feeding the Gulf Coast. Let’s help those that are in need as we head into the Holidays! With your help, we CAN make a difference!